Strakers are delighted to announce that we have been instructed on our fifth Hills Homes Site. Having previously been instructed on The Light, Margery Holroyd Rise, Cowbridge Mill, Malmesbury and Silver Street, Minety we will now be working together on the Southside Farm site in Corston. Southside Farm comprises of nine high specification, traditional and classic contemporary 3,4 and 5 bedroom houses. Strakers are widely recognized as Wiltshire’s leading independent Estate Agents. 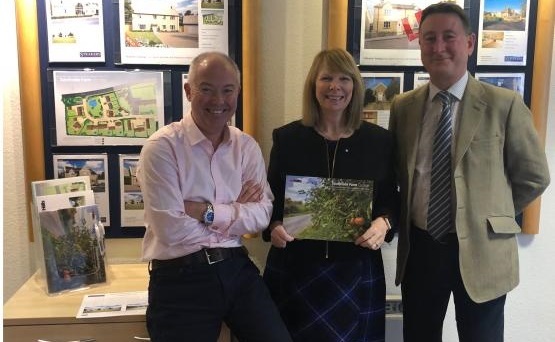 As well as our ever-growing New Homes department, we also offer Residential Sales and Lettings from each of our six offices around Wiltshire, together with eight regional Land and Property Auctions held throughout the year alternating between three superb venues in Devizes, Swindon & Bath. Strakers newly appointed New Homes Manager, Cath Mudrak explains ‘we, at Strakers are very excited and proud to be involved in promoting such a prestigious site, with these impressive, unique properties.